Through Bharatmala, the country will get 50 national corridors. Currently, the country has six national corridors. 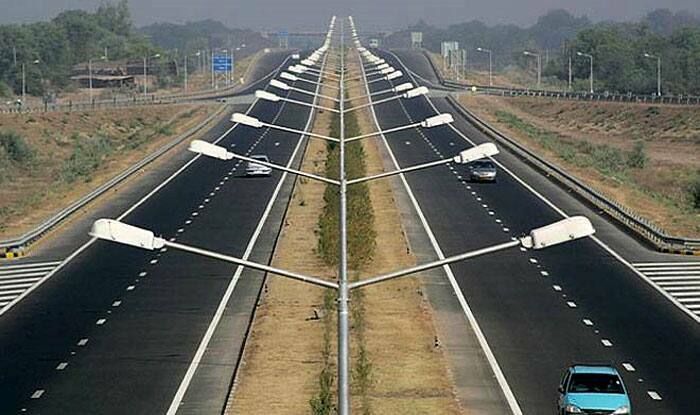 New Delhi: The Modi-led government has granted approval for the implementation of the 24,800 km Bharatmala Expressway project for over a period of five years from 2017-18 to 2021-22. Conceptualised for the development of highways across India, the project seeks to include the development of border roads, international connectivity roads, coastal roads, port connectivity roads and ring roads measuring up to 65,000 km. 1) The development in the highway is expected to ensure the smooth functioning of the traffic. Moreover, the project seeks to bridge certain infrastructural gaps in the country. 2) Some of the 44 new economic corridors under the project include Mumbai-Kolkata, Mumbai-Kanyakumari, Amritsar-Jamnagar, Agra- Mumbai, Pune-Vijaywada, Raipur-Dhanbad, Ludhiana-Ajmer, Surat-Nagpur, Hyderabad-Panaji, Jaipur-Indore, Solapur-Nagpur, Sagar-Varanasi, Raipur-Vishakhapatnam, Delhi-Lucknow, Chennai-Madurai, Delhi-Kanpur, Sagar-Lucknow and Sambalpur-Ranchi. 3) Highways Minister Nitin Gadkari said that the National Highways Authority of India (NHAI) will raise a sum of Rs 62,000 crore with the help of various instruments and sources. It will raise 10,000 crores through Bharatmala Taxable Bonds. So far, a sum of Rs 41,170 crore has been raised by NHAI. 5) The second phase of Bharatmala project includes Varanasi-Ranchi-Kolkata, Indore-Mumbai, Bengaluru-Pune and Chennai-Trichy. 6) Upon completion, 70 to 80 per cent of the freight will move along the National Highways as against the current 40 per cent. Through the Bharatmala Expressway project, the country will get 50 national corridors. Currently, the country has six national corridors.